A few months back, I became curious about the alt-right, specifically why this political movement seemed to be choosing a moment of Republican ascendance to foment a civil war within Conservative ranks. Suspecting that I might be getting an incomplete picture from news sources telling me this alt-right consisted of little more than White Nationalist Know Nothings, I decided to spend time reading and listening to what members of this group had to say about themselves. Given that I was just scratching an itch, vs. performing exhaustive research, that reading and listening was not in-depth. But it did reveal an object of loathing and vilification that unites disparate strands of this movement: not minorities or illegal immigrants, but the Social Justice Warrior (SJW). The alt-writers I read did not seem particularly aware of (or interested in) where the SJW species might fit into a broader ecosystem of Left-leaning personas and thought. For they were just a Google search away from hundreds of stories about SJWs behaving badly on campuses, in the workplace, and on the Internet itself. Interestingly, this search-engine powered “Argumentation from Anecdote” reminded me of nothing so much as the arguments (and evidence) critics of alt-right used to portray the group as little more than brainless Nazis. But one theme I walked away from my brief study of the alt-right project was that they truly believe that they must fight just as dirty as the SJWs (which, as just noted, applies broadly to liberals) with whom they are at war. I thought of this last week when the first big post-election brouhaha had to do with the cast of Hamilton upbraiding Mike Pence from the stage in New York City when the Vice President Elect was in the audience. The next day, a Trump supporter decided to respond by shouting taunts from the balcony in the middle of another run of that same play in Chicago. Given what I know about the eagerness of alt-right thinkers to take the fight to the enemy, the Chicago interruption – while cruder than the original New York act that preceded it – seemed entirely predictable. But now that we are in an age when political foes can’t wait to give opponents a taste of their own medicine, might there be some independent standard we can use to judge whether this or that form of political action is appropriate? 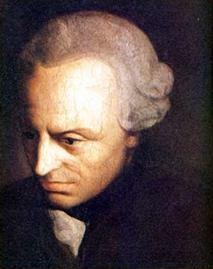 My choice for a candidate would be the ethical framework developed by the 18th Century German philosopher Immanuel Kant which consists of two interconnected components. The first is his “Categorical Imperative” which asks us to consider what we would think if our chosen course of action became a maxim everyone else in the world was entitled to follow. Consider this the equivalent of the Golden Rule (“Do unto others as you would have them do unto you.”) or your Mom’s admonition of “What would you think if everyone did what you just did?”. The second component is Kant’s admonition that no ethical activity can involve using another human being as “mere means” to an end. While others can be recruited, convinced or argued against, they should never be treated as props in the political actor’s personal drama. Given these two considerations, I would say that both the cast of Hamilton and the Chicago shouter failed each of Kant’s tests for ethical political action. Clearly, the Hamilton cast got to see within 24 hours the results of their decision (to turn the stage into a forum to express political views) becoming a maxim that an audience member in Chicago decided to follow. And while that Trump supporter turned the entire Chicago audience into unwilling props (vs. New York where some of the props in the audience happily accepted their role by applauding the scolding of the incoming Vice President), both situations involved large numbers of people unwittingly being turned into mere means. I bring this up during an era when, as just mentioned, partisans are eager to mimic the behavior of their political enemies, creating even more unpleasant maxims designed to make both personal and political life more brutal. Given the stakes, perhaps some wisdom generated in the 18th Century stands a chance of helping us make it through the 21st.